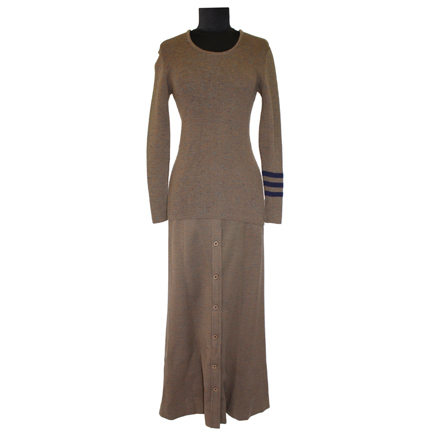 This two-piece vintage outfit was worn by the character "Lisa Casey" portrayed by actress Linda Day George in the hit television series “Mission Impossible” starring Peter Graves. 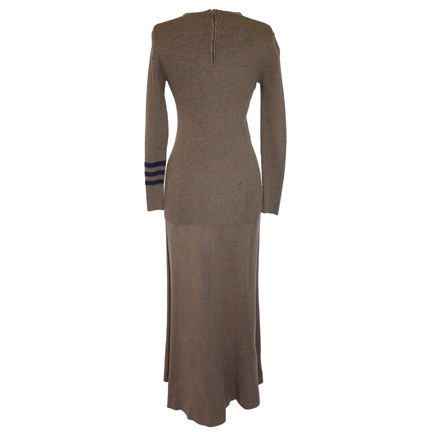 The costume consists of a light brown and blue-flecked Joseph Magnin V-neck long sleeve top with blue striping on the left sleeve and a light brown ankle length button front skirt by Norman Todd. Ms. Day George wore the garments in “Encounter” (Season 6, Episode 7). 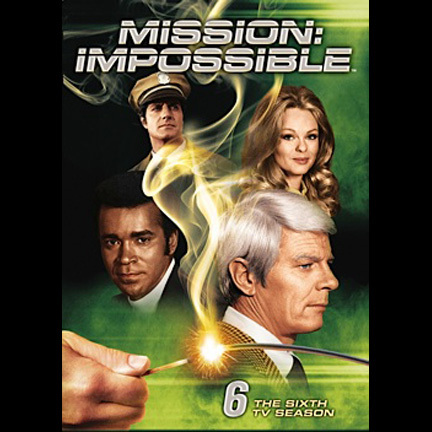 In the episode, the IMF team abducts the alcoholic "Lois Stoner" (Elizabeth Ashley) and forces her to dry out in seclusion while replacing her with their disguised agent Lisa Casey. Acting as the inebriated Lois, Agent Casey creates the impression that she could become a potential threat to her husband's mafia associates by turning informant, which the team hopes will in turn force him into turning against the mob for his own protection. “Encounter” aired on Oct. 30, 1971. 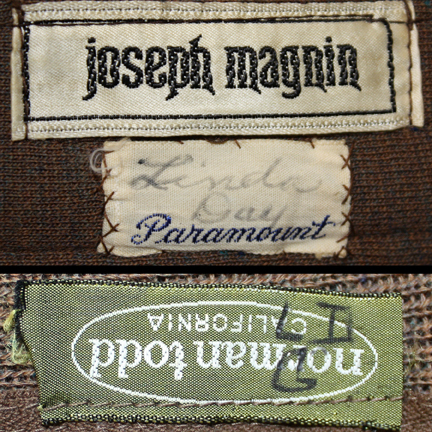 The top is complete with the original Paramount wardrobe label sewn inside with the name “Linda Day” written in slightly faded ink, and the interior label in the skirt has the initials “L.D.G.” written. The garments are in very good screen worn condition and are accompanied by a letter of authenticity from the costume house.